Miller authors chapter for "Inside the Minds: Settling Product Liability Claims"
Terrance Miller, chair of Porter Wright Morris & Arthur's Product Liability Practice Group, has authored a chapter featured in the recent publication "Inside the Minds: Settling Products Liability Claims." 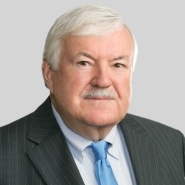 Drawing on his nearly four decades of experience in both trial and appellate practice, Miller's chapter focuses on trends that have played out in product liability lawsuits. He includes his perspectives on why some manufactured goods tend to be more targeted for litigation, and how the media can often play a role in the process. With experience handling cases throughout the United States and across industries, Miller is able to provide insightful suggestions for manufacturing companies as they face product liability issues. The full publication provides an insider’s perspective on evaluating product liability cases and working through negotiations to increase the likelihood of achieving a beneficial outcome. Partners from law firms across the US are featured, guiding the reader through development of effective client strategies and preparing for settlement, while highlighting key concerns from the perspectives of both the defendant and plaintiff. Additionally, the book serves as a resource of ready information covering the legal doctrines that often are applicable in products liability cases. Order Inside the Minds: Settling Product Liability Claims.